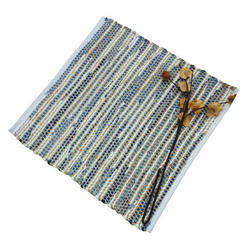 SECONDMAY provides high quality 100% Denim Fabric Hand weaved Rugs. Easily dry clean & washable. Uses: Lay flat to dry all kinds of rooms & Floorings. We are engaged in offering Denim Rugs. Denim rug types of carpets fully designed very extraordinary work. This is made by Ramsha group of home living materials. 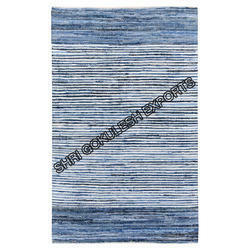 In order to meet excellent quality standards, we are supplying Denim Rug. Our company has been successful in winning appreciation from the clients as one of the most prominent names in the trading of Denim Rug. We are amongst the most reputed names in the industry, offering Denim Rug. We are a top notch supplier of Denim Rug.